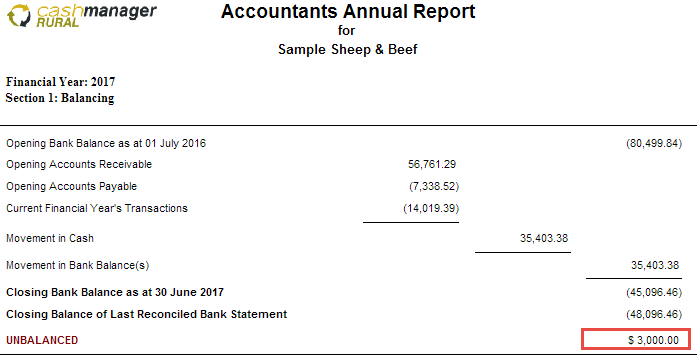 If the Accountants report is unbalanced for the year you are trying to close, you need to locate the error and fix it before going any further. What causes it to be unbalanced? Running a springclean can help you to identify the problem. Also, have a look at our end of year checklist. This could help to identify why the Accountants report is unbalanced and how to fix it.